3 Bedrooms, 2.5 Bathrooms, Living Room/Office, Family Room and a Loft Area. WOW!! !Richmond model townhome in Summerlake, with many additional upgrades. Kitchen features quartz counter tops, stainless steel appliances, 42" wood cabinets & a large walk-in pantry. Ceramic Tile throughout the first floor. Bathrooms also offer quartz counter tops & solid wood cabinets. Master bath has a walk in shower, large soaking tub & oversized walk-in closet. Washer & Dryer included with a second floor laundry for owners convenance. Multi use rooms for either a living room, office or play area are added on both floors. The back door leads you to a private Lanai & Courtyard with brick pavers. Rear entry two car garage with opener. Home is a ENERGY STAR Certified Townhome, with R-38 Insulation & a 15 SEER HVAC system. Also upgraded is the new water filtration system with water softener & alarm system. HOA includes lawn care & exterior building maintenance. Clubhouse with Fitness Center & Recreation Room, Tennis & Basketball Courts, Resort Style Pool, Parks & a Pet Park just for the household dog. 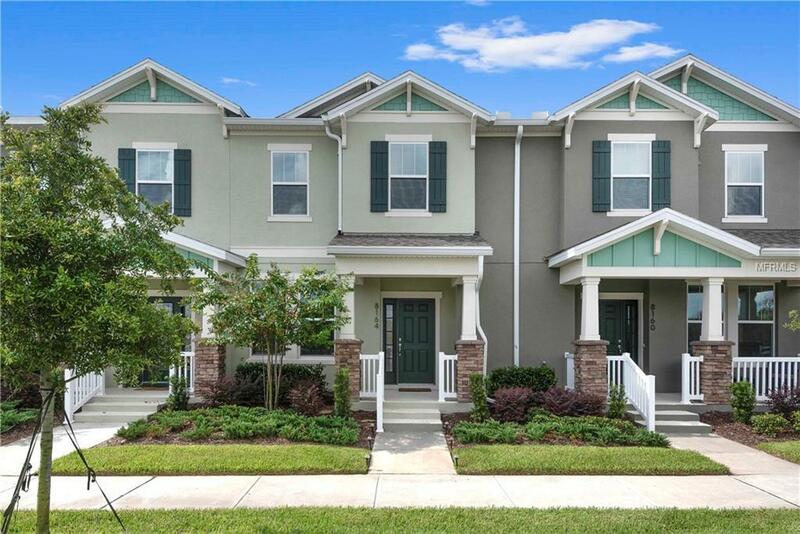 This Resort Style community is only minutes away from Walt Disney World, National Golf Center, the New Hamlin Shops & Movie Theater. Now it's time to view our 360 degree video tour & schedule your private tour today!